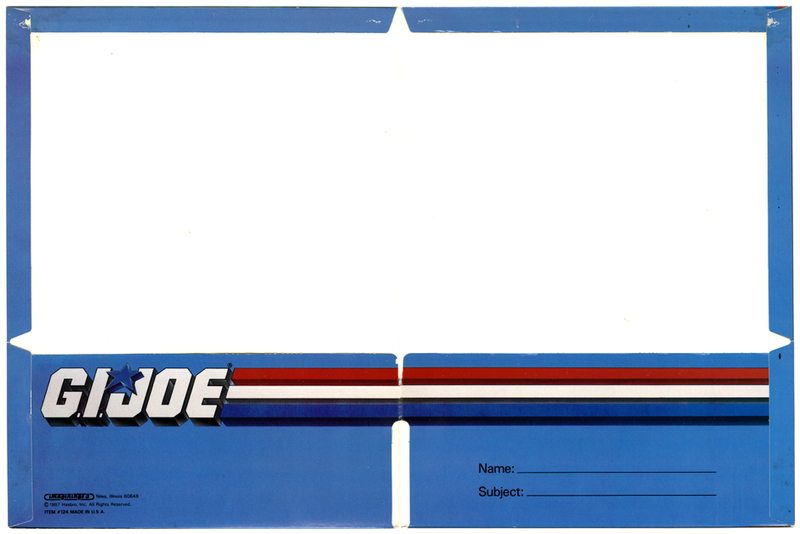 In 1987 Imaginings3 rolled out three G.I.Joe file folders. 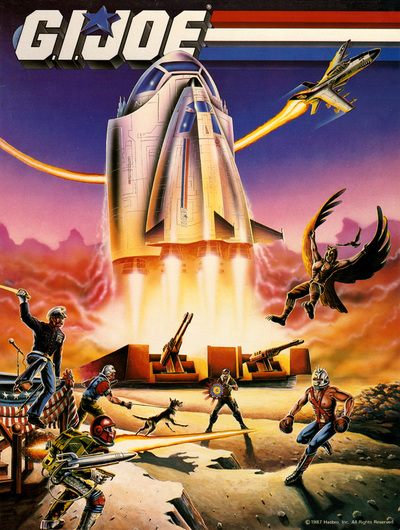 The first folder featured an all-new scene of the Defiant blasting off amid a Cobra raid. 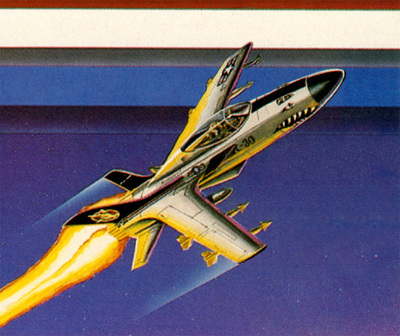 Click the images below to view them full screen. 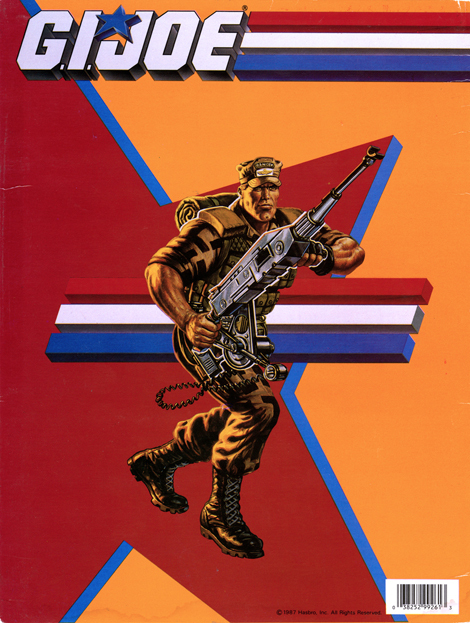 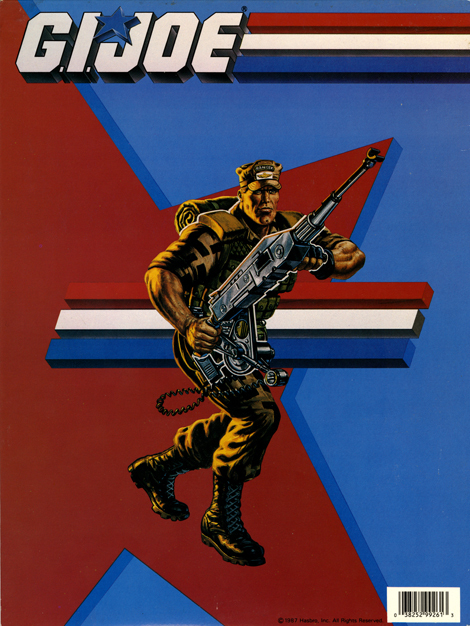 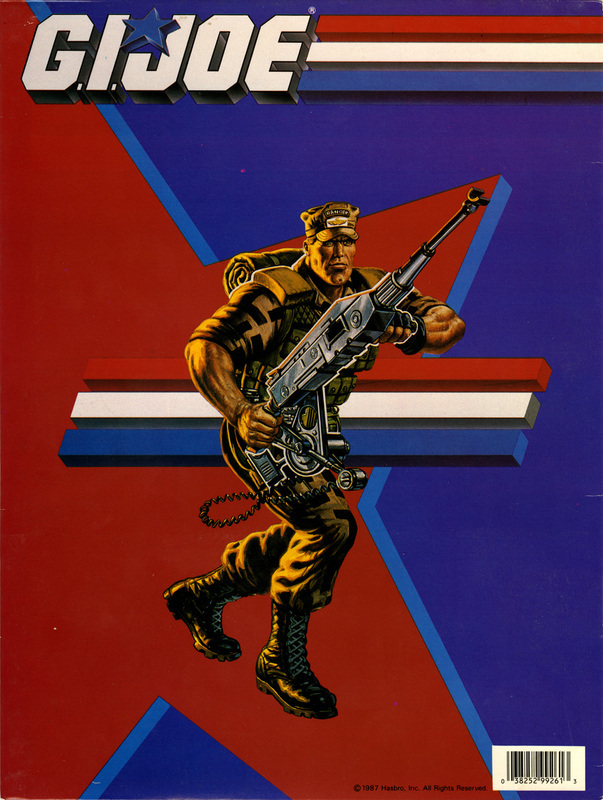 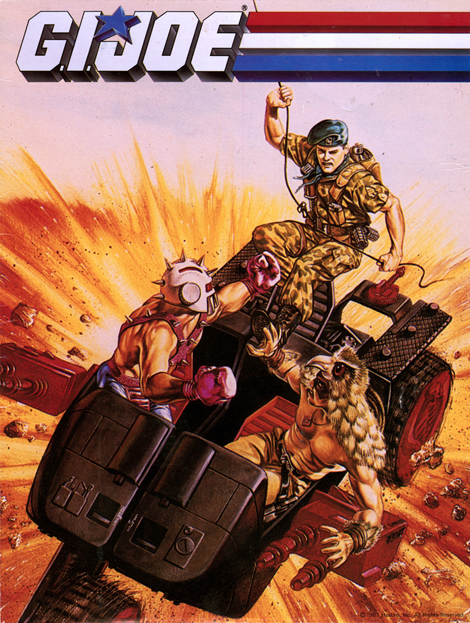 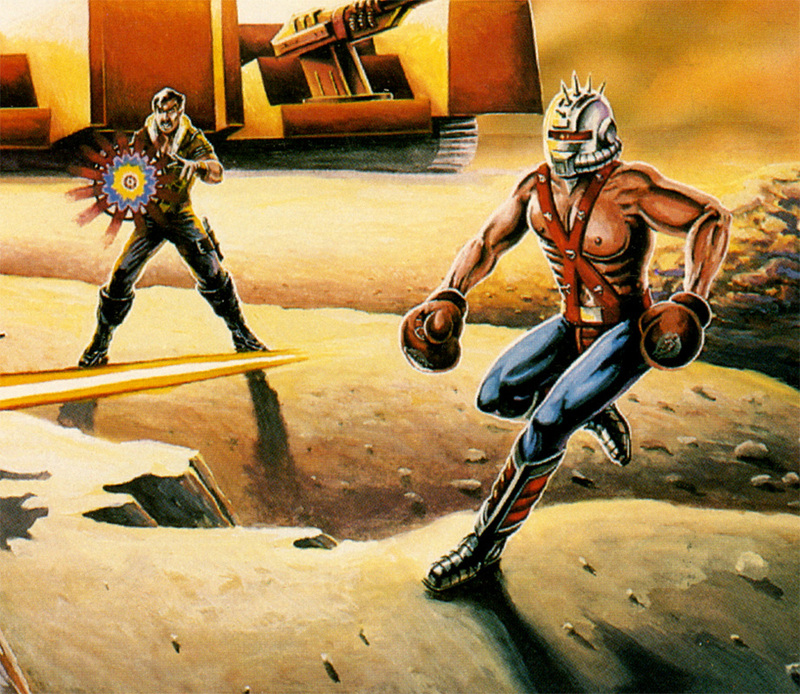 The second folder features art from the Spring 1987 issue of G.I.Joe Magazine. 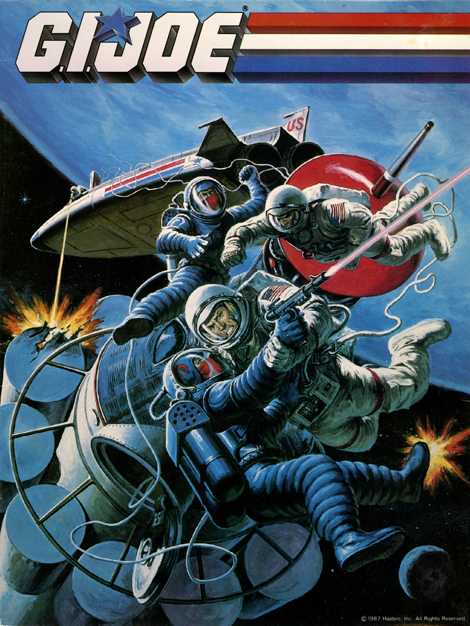 This Dave Dorman illustration was featured on the cover and a larger view of the art was also utilized for the fold out poster. 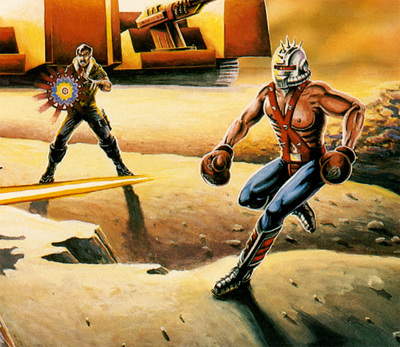 The third folder features art that would later grace the cover of Ballantine Books "Fool's Gold." 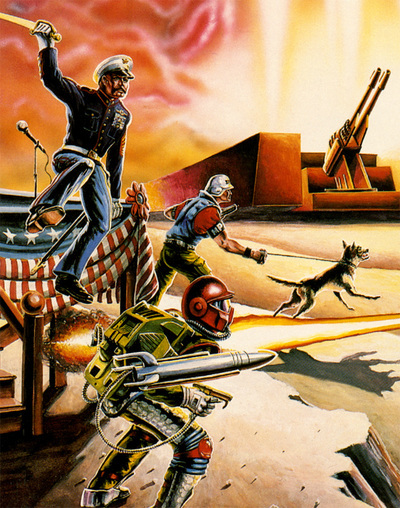 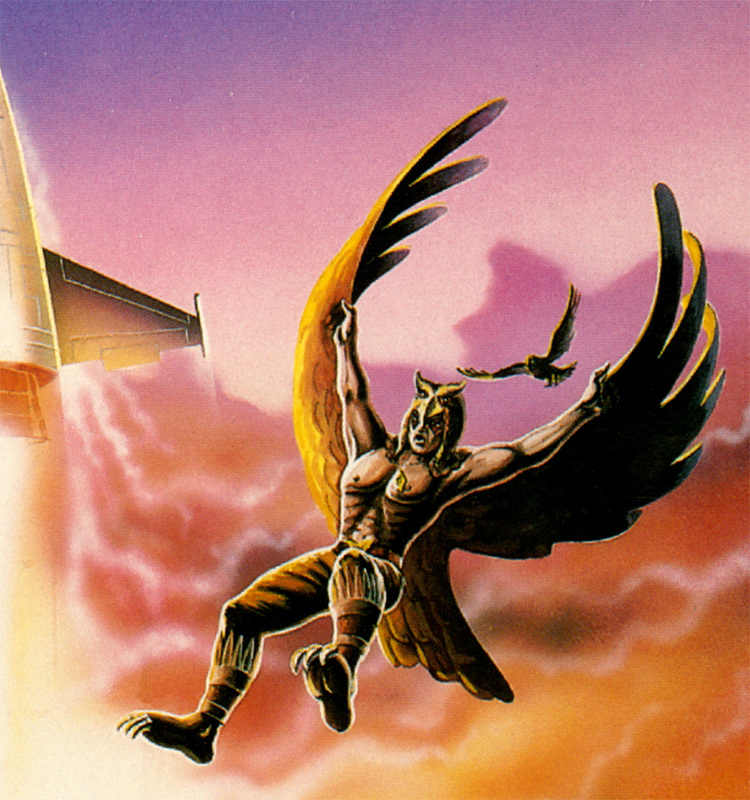 This Earl Norem illustration was featured on the cover of the third of six Young Adult / Fiction G.I. 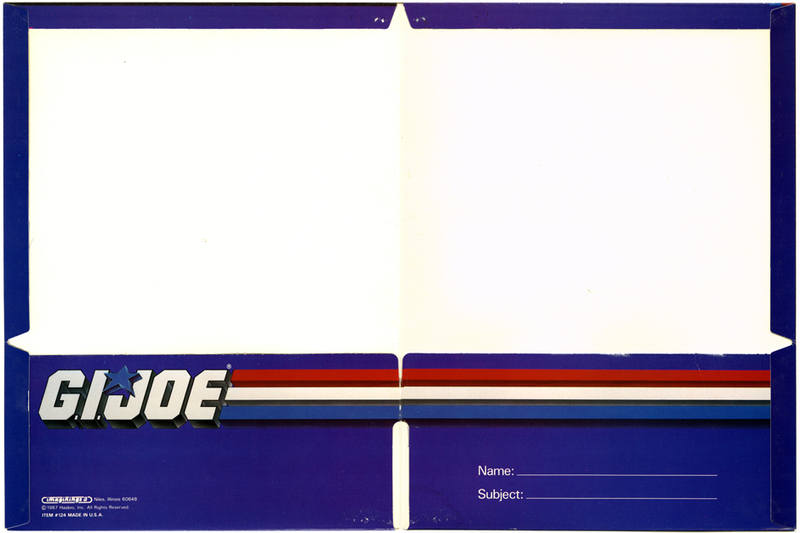 Joe books. 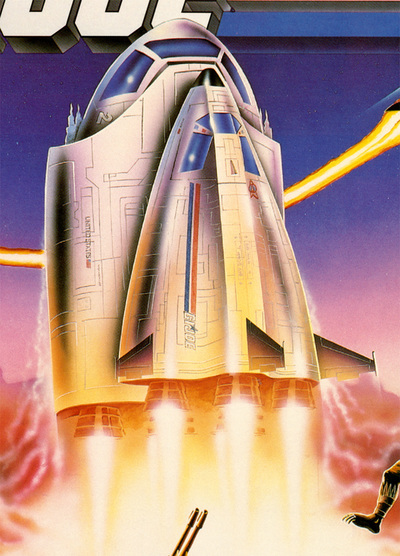 ​Scans courtesy of Dan Moore.